At my daughter’s preschool, there is a corner of the room called “home corner”. 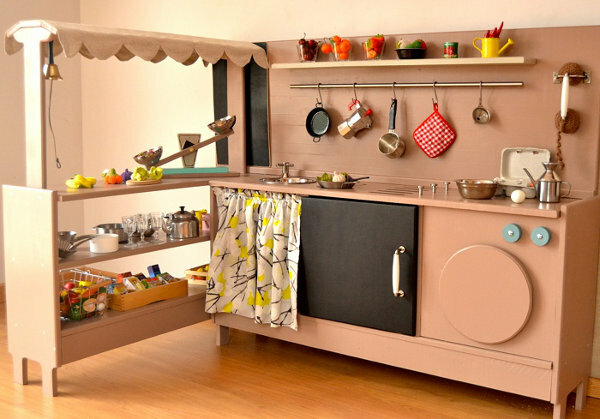 It is full of wooden versions of all the appliances which I spend so much time resenting in real life – sinks, washing machines, ironing boards – but somehow, when wooden, I find them absolutely delightful. And here is a store just full of them, and it will knock your socks off, and then you can wash them in the wooden washing machine. The destination is Macarena Bilbao, and if you’re in the market for wooden homewares, you’ve come to the right place. 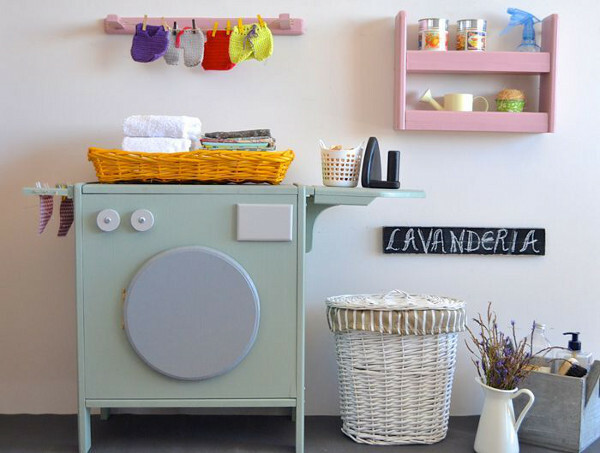 A load of washing will seem much more enticing in their wooden front loader, complete with magnetic closing door, drying rails and a detergent drawer that slides in and out. The wooden market stall (at bottom) will have budding capitalists supplementing their pocket money in no time, and comes complete with a blackboard for the day’s specials, as well as a set of scales, a telephone and a bell. 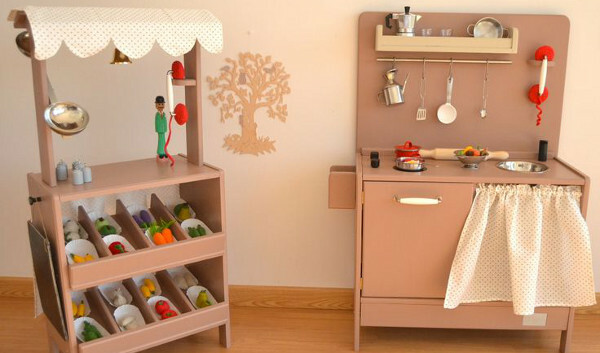 Play kitchens are where Macarena Bilbao really goes to town – there are three different widths available and you can customise your colour and fabric, just like a real kitchen renovation (but without the mess)! They even offer a made- to-measure service, so if you have an idea for something that would work perfectly at your place, it’s worth getting in touch. Macarena Bilbao are in Tenerife, which is good news if you are Spanish because they will deliver anywhere in Spain for free. The rest of us will need to pay for the privilege, and the best way to sort it out is to get in touch directly for a quote. Their market stalls and kitchens begin at €195 (with larger kitchens more expensive) and their washing machines are currently reduced to €155. Get the full details at Macarena Bilbao.